Welcome to the world of Current Affairs 2017. 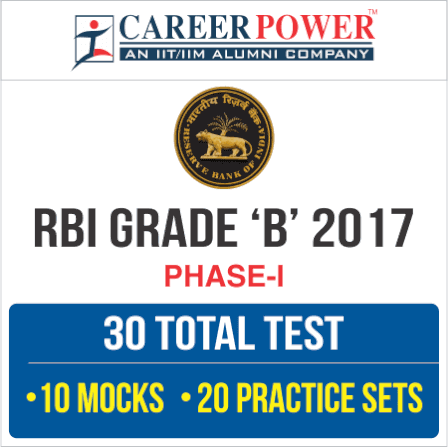 With RBI Grade-B Phase-1 Exam round the corner, it should be your priority to cover every aspect of Current Affairs on a daily basis for RBI Grade-B Phase-1 Exam so that you can do well in the exam. These current affairs are based on current news. Let us see how many questions you attempt accurately. Q1. China has recently signed a major deal with which of the following country to develop a 1,200 MW Budhigandaki Hydroelectric Project, the biggest hydro project in the landlocked country? Sol. Nepal has signed a major deal with a China to develop a 1,200 MW Budhigandaki Hydroelectric Project, the biggest hydro project in the landlocked country that could resolve its perennial power crisis. Nepal’s Ministry of Energy has signed an MoU with China Gezhouba Group Corporation (CGGC) for the development of the 1,200 MW Budhigandaki Hydroelectric Project. Q2. India signed an agreement to provide fresh assistance of 318 million US Dollar credit line to which of the following country for the development of the railway sector? Sol. India signed an agreement to provide fresh assistance of 318 million US Dollar credit line to Sri Lanka for the development of the railway sector in the country. The agreement was signed in Colombo amidst the presence of senior officials of Sri Lanka’s finance and transport ministries. Q3. Which of the following country has officially joined North Atlantic Treaty Organization (NATO) and becomes the 29th member country of NATO? Sol. Montenegro has officially joined North Atlantic Treaty Organization (NATO) and hence became the 29th member country of NATO. Montenegro Foreign Minister Srdjan Darmanovic submitted the official accession papers in a ceremony at the US State Department. Q4. Name the Veteran Nepalese politician who was recently elected as Nepal’s Prime Minister for the fourth time. Sol. Veteran Nepalese politician Sher Bahadur Deuba was elected as Nepal’s Prime Minister for the fourth time. Deuba, 70, was the sole candidate to contest in the Prime Minister election as the main opposition UML or any other party didn’t register their candidacies. Q5. Vijaya Bank is going to develop as many as 100 digital villages in various States of the country as part of its initiative to promote digital banking among the rural population. Who is the present MD & CEO of the Vijaya Bank? Sol. Vijaya Bank is going to develop as many as 100 digital villages in various States of the country as part of its initiative to promote digital banking among the rural population. Vijaya Bank is a Public Sector Bank founded in 1931. It is headquartered in Bengaluru. Present MD & CEO of the Bank is Dr. Kishore Sansi. Q6. National Housing Bank (NHB) has recently approved the merger between Aadhar Housing Finance and DHFL Vysya Housing Finance. Who is the present Managing Director & Chief Executive Officer of National Housing Bank? Sol. The proposed merger between Aadhar Housing Finance and DHFL Vysya Housing Finance has hit the final lap with it got the nod from housing finance regulator National Housing Bank (NHB). Shri Sriram Kalyanaraman is the Managing Director & Chief Executive Officer of National Housing Bank. Q7. Nepal is recently in News. The Central Bank of Nepal is called as _______________. Sol. The Central Bank of Nepal is called as Nepal Rashtra Bank (NRB). NRB was established in 1956 under the Nepal Rastra Bank Act 1955. Dr. Chiranjibi Nepal is the present Governor of NRB. Q8. An agreement for IBRD Credit of USD 39.2 Million from World Bank for the project 'Assam Citizen Centric Service Delivery' was signed recently. What does 'R' stands for in IBRD? Sol. An agreement for International Bank for Reconstruction and Development (IBRD) Credit of USD 39.2 Million from World Bank for the project 'Assam Citizen Centric Service Delivery' was signed recently. The World Bank was Formed in July 1945. Present President of the World Bank is Jim Yong Kim. Q9. The Gulf countries including Saudi Arabia and UAE recently isolated Qatar accusing it of supporting terrorism in the region. What is the capital of Qatar? Sol. The gulf countries including Saudi Arabia and UAE recently isolated Qatar accusing it of supporting terrorism in the region. The capital city of Qatar is Doha. Q10. What is the Capital of Montenegro? Sol. The Capital of Montenegro is Podgorica and its Currency is Euro. Q11. Second Bi-monthly Monetary Policy Statement, 2017-18 was released recently. The Monetary Policy Committee (MPC) decided to keep the policy repo rate under the liquidity adjustment facility (LAF) ____________. Sol. Second Bi-monthly Monetary Policy Statement, 2017-18 was released recently. The Monetary Policy Committee (MPC) decided to keep the policy repo rate under the liquidity adjustment facility (LAF) unchangeat 6.25 per cent. Consequently, the reverse repo rate under the LAF remains at 6.0 per cent. Q12. 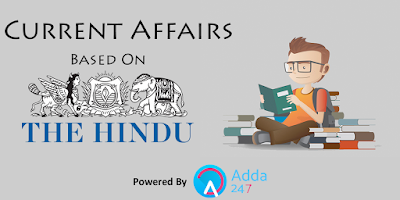 The University Grants Commission (UGC) and All India Council of Technical Education (AICTE) will soon be a thing of the past the Centre is planning to replace the two education regulators with a new Higher Education Regulator called HEERA. HEERA stands for ________________. Sol. The University Grants Commission (UGC) and All India Council of Technical Education (AICTE) will soon be a thing of the past as the Prime Minister Narendra Modi-led government at the Centre is planning to replace the two education regulators with a new Higher Education Regulator called HEERA. This is being done to bring one single education regulator named HEERA in place. Higher Education Empowerment Regulation Agency or HEERA is the name of the new proposed regulator. Q13. Name the newly appointed Prime Minister of France. Sol. Edouard Philippe is the newly appointed Prime Minister of France. He has been appointed by the President of France Mr. Emmanuel Macron. Q14. Goods and Services Tax (GST) Council recently cleared the pending rules for the rollout of the new indirect tax regime from Jul 1. The readymade garments will attract GST at ____________. Sol. Goods and Services Tax (GST) Council recently cleared the pending rules for the rollout of the new indirect tax regime from Jul 1. The readymade garments will attract GST at 12 Percent. Q15. Vijaya Bank is going to develop as many as 100 digital villages in various states of the country. The bank is headquartered at _____________. Sol. Vijaya Bank is going to develop as many as 100 digital villages in various states of the country. The bank is headquartered at Bengaluru. Kishore Kumar Sansi is the CEO of Vijaya Bank.